Made of tin-plated copper and polyester threads, Helagaine HEGEMIP braided sleeving offers electromagnetic protection as well as secure cable bundling. The patented material mix offers very good inside and outside abrasion resistance. Also it makes the sleeve expandable and easy to apply. In contrast to purely copper braids, the HEGEMIP sleeve can be bent and twisted and still return to their original form to protect the cable perfectly.The copper wires are protected by the polyester yarn. Therefore breaks and fractures of the metal are prevented, even by bending the sleeve at a 90°-angle. 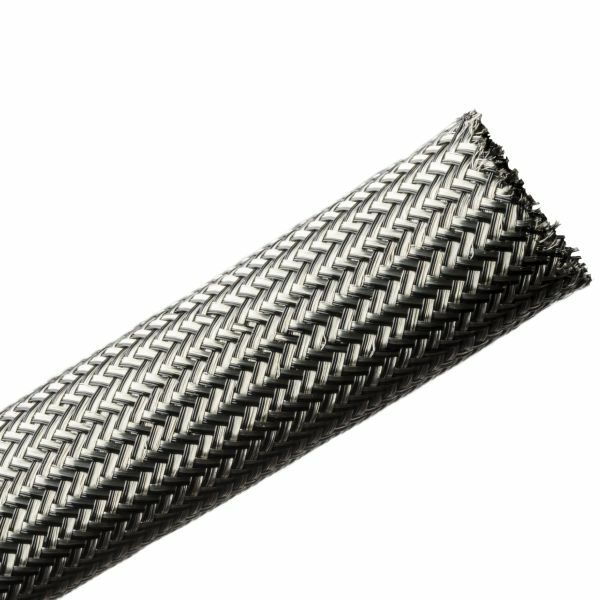 As a result, HEGEMIP braided sleeving is particularly suitable for applications where there is movement and restricted space The inner tube makes insertion of cables easier and protects the sleeves from deformation during transportation.